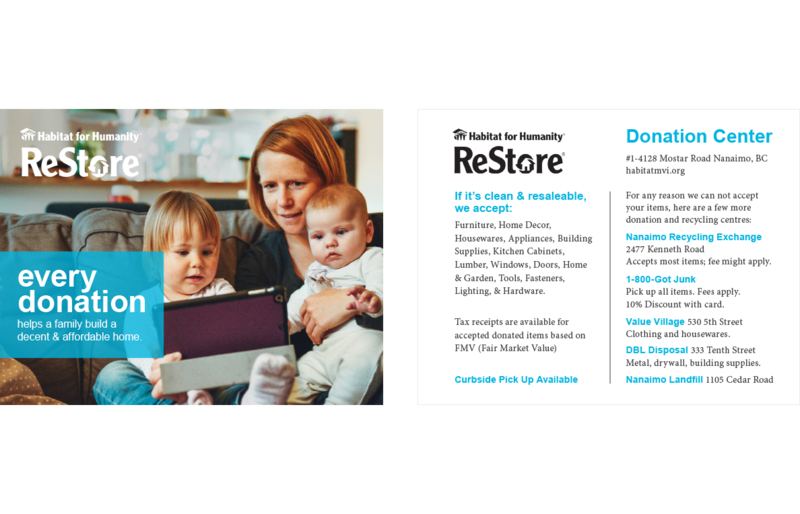 Increased visibility for a local charitable organization. 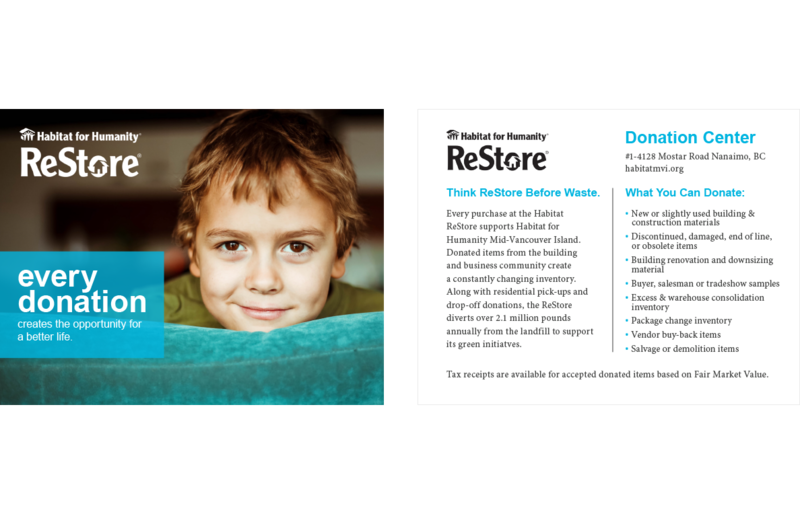 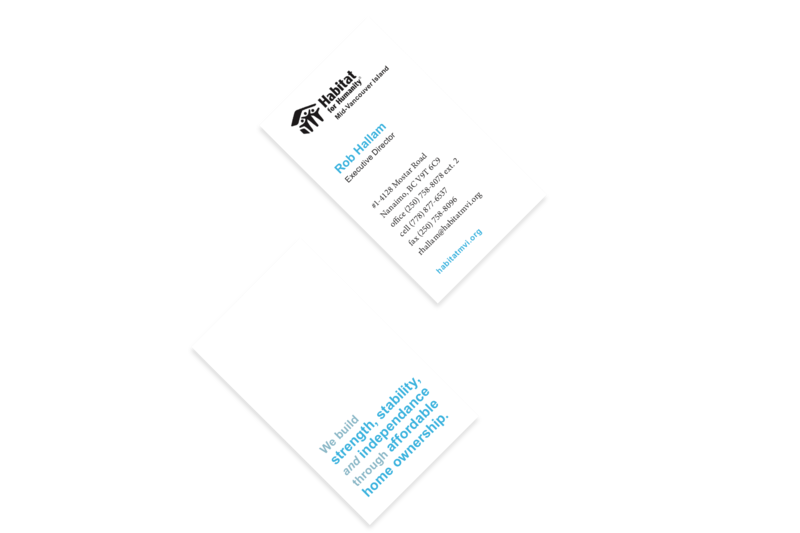 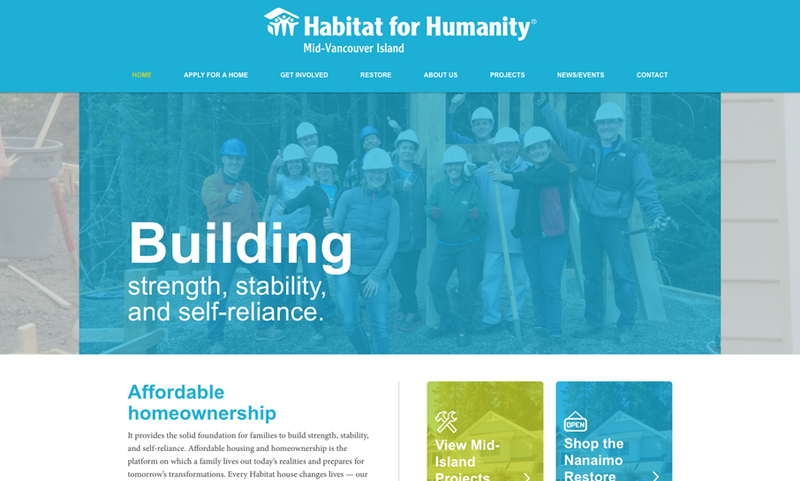 Habitat For Humanity believes in “a world where everyone has a safe and decent place to live.” The Mid-Vancouver Island chapter of HFH was looking to further their goals with fresh new print collateral and a dynamic website. 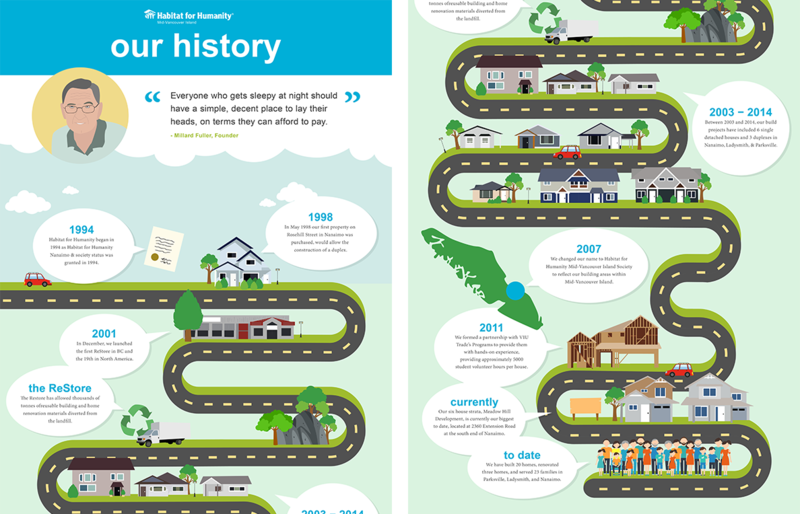 A website colour palette with bright blue & green is friendly, energetic & inspires trust. 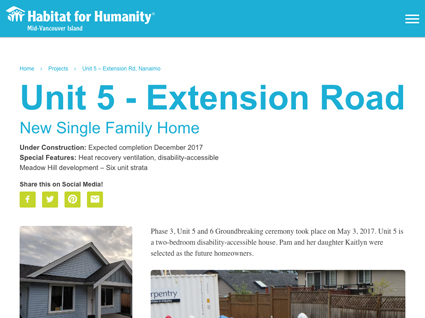 Our team will get back to you ASAP about what budget a project like Habitat for Humanity requires.